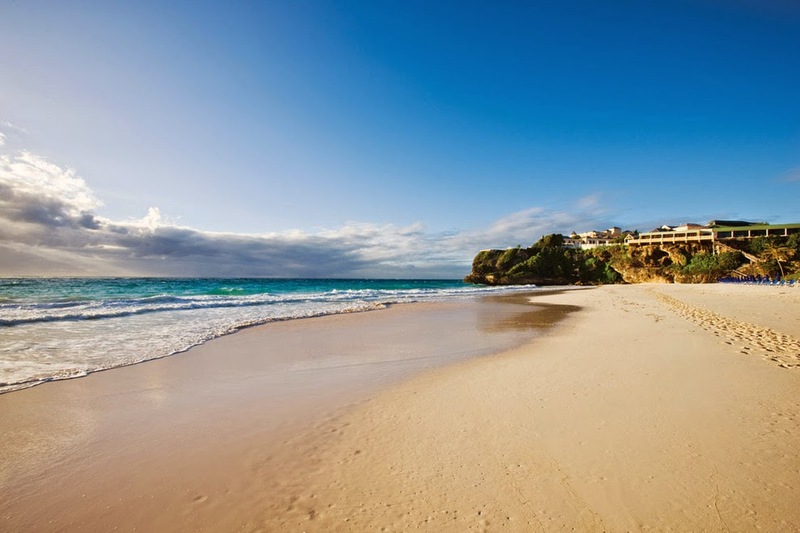 Love Design Barbados *: The Crane Barbados - One of the best beaches in the world! 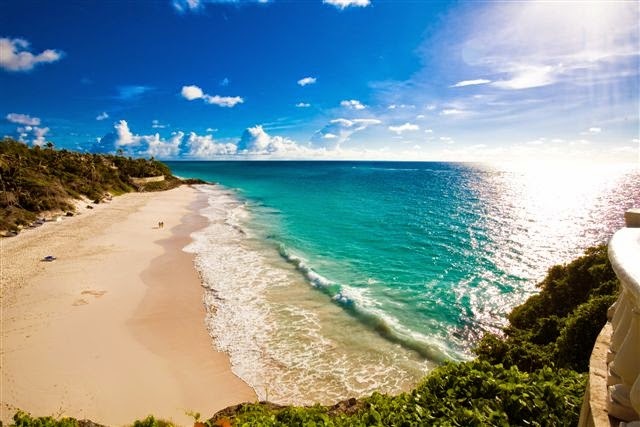 The Crane Barbados - One of the best beaches in the world! I love my island and I was incredibly proud to see The Crane Beach nominated by USA Today as one of the top beaches in the world. I visited The Crane hotel a few weeks ago and as I sat at L'Azure Restaurant overlooking the beach I was mesmerised by it's beauty. I often take my beautiful island for granted and I was glad that I took the time to reflect and truly appreciate my surroundings. The Crane Beach is located on the southeastern side of Barbados and features dramatic natural scenery and a stunning sea of blues. Vote for my beautiful island here! I love your little island!! :) The Crane is just so beautiful! New Year - Time to DAZZLE!